If you suffer from attachment issues then this blog post is most certainly for you. 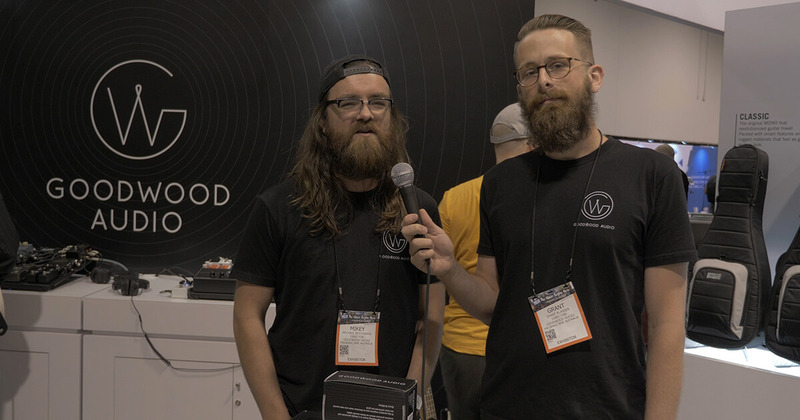 No we’re not here to give you relationship advice, we are of course, talking about pedalboards! 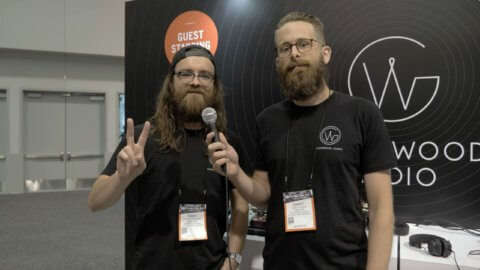 What kinda cable plugs do you suggest for which pedal, and if you’re running stereo or mono? Grant: There is an ideal plug that you can use a lot of the time, and then there are the plugs that you use because of space constraints. Straight plugs are great, but they take up a lot of space if you want things as tight as possible on your board. Straights are excellent for switching systems and are easy to label. They can also be really helpful when running cable channels as the cable can go in any direction as soon as it exits the plug shell. Mikey: People love pancakes and we certainly use a lot of them, but they can be troublesome with stereo pedals. 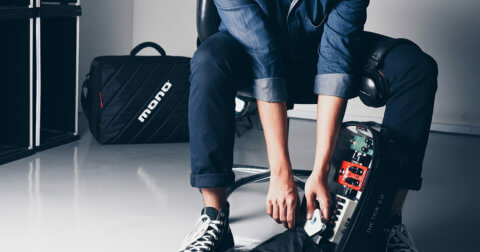 An example would be one of the large Strymon pedals. Pancakes might fit, but they have to point straight down and will cause too much strain on the jacks, especially if the cables are moving around. So we use the traditional right angle plugs. However this creates another problem because when angled down, the plugs and cable extend below the pedal. We make plywood risers to lift the pedal up which has the added benefit of creating space underneath for running cable channels. Grant: A rule of thumb – if your pedal’s jacks are less than 25mm apart (centre to centre), pancakes will not fit. That’s when you’ll have to use right angles or straights. If they’re more than 25mm apart, you’ll have better luck using pancakes. Grant: We started the business making soldered cables because my friends and I had issues with solderless cables failing. That said, not all solderless cables fail or fail right away, but we’ve seen too many instances of people having noise and reliability issues that can be traced back to solderless cables. All of our setups are completed with soldered cables we make in house. Solid, reliable and much cheaper than any solderless kit. What fasteners do you use, and have you got any tips or tricks? Mikey: We use Velcro brand velcro. It’s got really good adhesive that, given time, will set very securely. People often don’t realise that adhesives have a “set time”. I try to apply velcro once and leave it at that. As soon as I have to pull a strip off I throw it away and cut a new piece. Velcro brand velcro also has a really good connection between the hook and loop. A lot of people swear by Dual Lock, and it certainly has its merits, but for setup work like what we do, it gets prohibitively expensive. 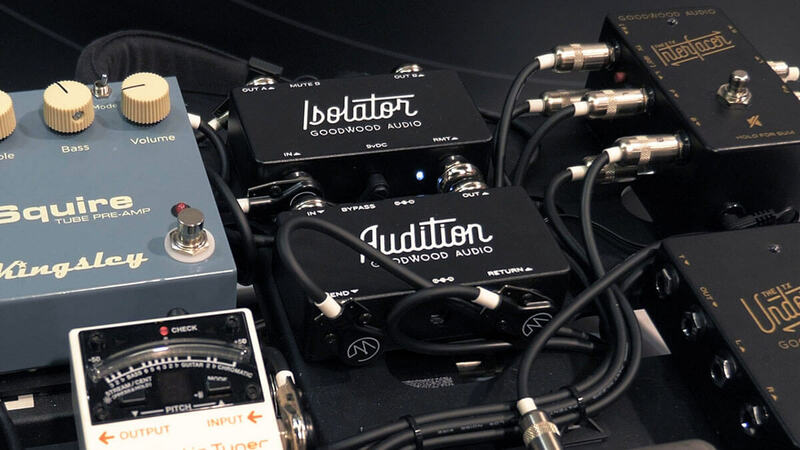 The RAT pedal, volume pedals and wah pedals are good examples of pedals with large screw heads that get in the way between the pedal and pedalboard. Velcro isn’t thick enough such that the screws aren’t gouging into the surface of the board. A trick I discovered by accident is to use strips of Dual Lock on the pedal and hook velcro on the board. The Dual Lock is thick enough to clear the screw heads, and hook velcro fastens to Dual Lock like you wouldn’t believe! Grant: Other tricks – use a thin metal ruler between the hook and loop of your velcro to pop it off easily. Credit cards work as well. 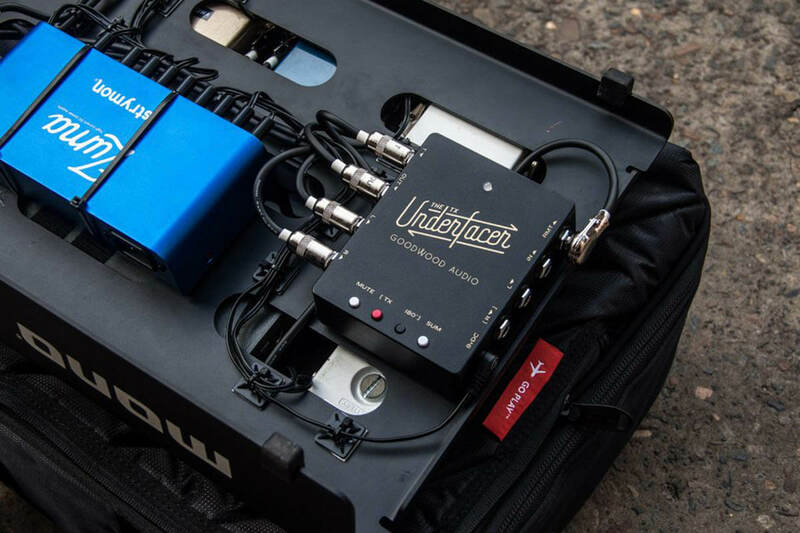 Inspired and need a pedalboard for your own awesome rig? 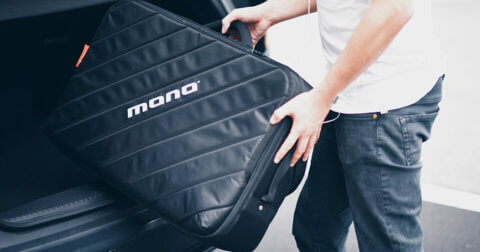 Check out all MONO pedalboards and our cases to carry them in here. Join our newsletter for exclusive offers and the latest MONO news.